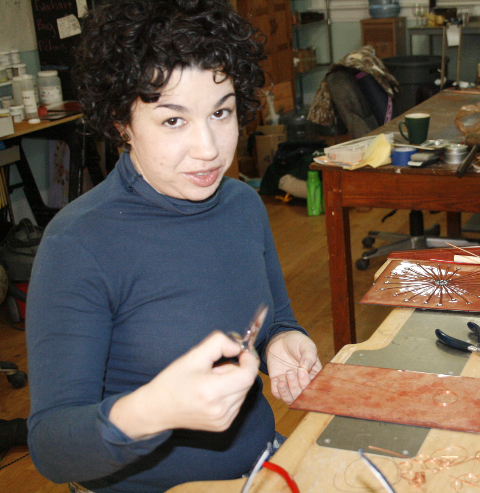 "I went to Kutztown University and studied jewelry design and metal smithing. They teach you about enameling a little bit. I liked it and kept doing it. Ii have a studio that is actually a live/work/cat playland. I grew up down the road from Scranton; that's how I ended up here. I've been making things since I had the motor skills to pick up stuff and they let me play with glue and scissors."